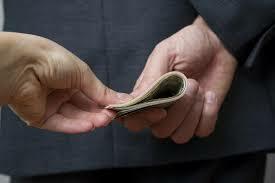 A pharmacist from Pretoria, Alfred Mokoditoa, has accused Polmed, a South African medical scheme of bribery. Medscheme administers Polmed. Mokoditoa is the owner of 4 pharmacies in Pretoria. He is accusing Polmed of trying to solicit a R200 000 bribe from him by withholding his payments ‘unlawfully’. Last week, doctors were retaliating against medical schemes who they say are trying to extort money from them by withholding payments. More than 250 doctors affected by this, as well as other health professionals, have now formed the National Health Care Professional’s Association. Better known as NHCPA, they have approached the North Gauteng High Court. Alfred Mokoditoa has also approached the Sunday Tribune about this. Medical professionals are saying that medical aid schemes are accusing them of fraud,. However, they say that these same medical aids could not prove this. Another accusation is that these medical schemes are illegally using a spy camera to monitor their practices. Now Alfred Mokoditoa is saying that Polmed owes his R1.6 million since 2010 for services at his four pharmacies. He went on to say that Polmed will simply not pay him. He added that they have also declared fraud on his claims. To this end, payment has been withheld – unlawfully. Mokoditoa added that staff from the forensic unit insisted that he pay R200 000 for his payments to start again. He says that these people actually came into his pharmacy and asked that he hand over this sum of money. Mokoditoa refused to do this and reported these officials to Polmed. In turn, he received notification in writing saying that the matter was under investigation. However, so far nothing is happening. Mokoditoa said that after fighting with Polmed, they have returned a sum of Three Hundred Thousand Rand, but that more than R1 million was still owing. When Mokoditoa asked Polmed about this amount, Polmed said that it had paid the balance due to Mokoditoa to its member’s bank accounts. The owner of 4 pharmacies went on to say that there is no evidence that the balance went into these accounts. And, he says, the medical scheme isn’t providing him with any evidence either. The Medical Schemes Act lays out that Polmed must pay all outstanding monies owing to the service provider directly. At the time of going to print, there has been no feedback from Polmed and now Mokoditoa is looking at involving the high court in this matter.